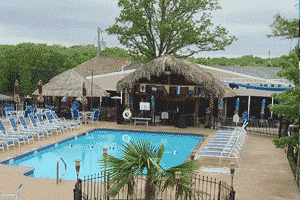 Sneaky Tiki Restaurant is located at Lake Texoma Lodge and Resort in Mead Oklahoma. Know for fabulous steaks and their Royal Red Shrimp that taste like Lobster. Fine dining in a casual resort atmosphere you will love everything on the menu. During the season, entertainment on Friday and Saturday nights.